Your Weekend Horoscope: Should You Play by the Rules? Knowledgeable Mercury in Taurus aligned with power-hungry Pluto in Capricorn brings fixed opinions and encourages people to exert their know-how in order to get ahead. A challenging aspect from taskmaster Saturn indicates that despite your cleverness, you may still have to play by the rules. 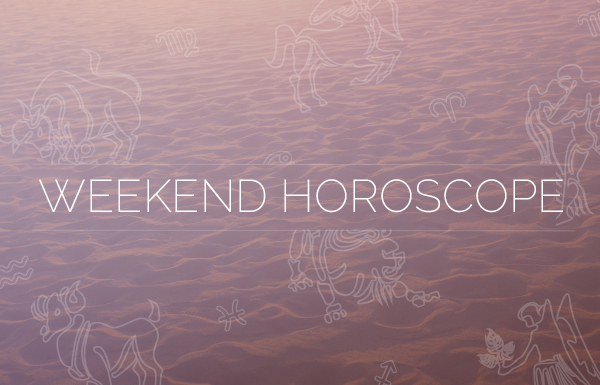 Here is your Weekend Horoscope! Your mind is set on financial wheeling and dealing. A parent, boss, or another influential figure could help you seal the deal. However, if you are trying to cut corners or you think that the rules don’t apply to you then you are likely to run into problems. Your mind is pretty much made up on a particular matter and because you feel so certain of your position, you don’t mind shouting it out to the world. Not everyone is buying what you’re selling, so don’t be surprised if someone close to you doesn’t get on board. A secret that you possess gives you power over a person or situation. Or, at least, it makes you think so. The truth is that it is only valuable for as long as you keep it to yourself. Revealing this information could ruin a relationship. Do you want to go that far? Due to your connection with certain influential friends and colleagues, you feel powerful by association. But will your cleverness hold up when you have to complete a task on your own? Learn what you can from others, so that you act with confidence when your skills are put to the test. Your cleverness and shrewd business savvy are pretty impressive. In both love and business, these qualities can make you a desirable catch. However, if you are constantly bragging about your talents it can make you pretty dull. Lighten up, Leo, and strive to be a bit more fun. Your Weekend Horoscope shows that you are ready to dominate in romance and you are prepared to use your intellectual savvy to win someone over. Are you trying to prove your smarts to your love interest or to yourself? Trust your cleverness. Don’t allow insecurity to trip you up. You believe that you have the confidence to discuss secrets and other highly personal info, but when the time comes to make your big reveal you could find that it is a lot harder to open up than you think. You don’t need to prove anything to anyone, not even to yourself. Your Weekend Horoscope indicates that the time is right to have a serious conversation with your mate or someone close to you. The only danger is that when secrets are revealed you could find out more than you really want to know. You may discover that you don’t share the same values. Your cleverness at work could help to transform your financial situation providing you have the confidence to act on a brilliant idea. Don’t fool yourself into thinking that everything has to be difficult. Sometimes success is just a matter of showing up and doing what you do. A romantic partner or children can learn a lot from your cleverness. In turn, it makes you feel powerful to share your know-how with others. This simple act can help you to overcome an insecurity that you are struggling with now. It feels good to spend time with people who appreciate your gifts. Mining your past for information can lead to insights that will kindle your sense of personal power. A conversation with a family member could unlock the wisdom you need right now. Sometimes you can’t get to where you want to go until you understand where you come from. Your Weekend Horoscope shows that a conversation with a powerful friend can be enlightening, but you could experience frustration when an authority figure fails to validate what you have learned. Isn’t it time you learned to trust your own opinion? You don’t need an outside party to validate your ideas.